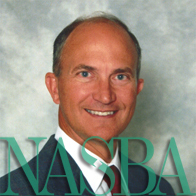 Regarded as a cornerstone of support within its organization, NASBA appoints as many as 30 committees and task forces each year. Through the work of these committees, NASBA volunteers and staff address current and emerging issues affecting Boards of Accountancy across the 55 jurisdictions. Topics range from ethics, education and global regulation in accounting principles to the development of model rules for the member boards’ consideration. Throughout the year, we will feature each of our committees to highlight their role in carrying out NASBA’s mission, the duties and functions they perform and focus on their initiatives for 2013. We continue our series on NASBA’s committees with a look at the Continuing Professional Education (CPE) Committee. The charge of the CPE Committee is to oversee the CPE Working Group and related Statement on Standards for CPE Programs (Standards). Also, develop and promote uniform rules and requirements for continuing professional education among the jurisdictions. Jessica Luttrull, CPA, NASBA’s National Registry Manager and CPE Committee Staff Liaison, said the CPE Committee serves a critical role in the continuing education area for CPAs because of the Committee’s oversight of the Standards. The primary focus for the Committee this year is to research and recommend a comprehensive strategy for Boards of Accountancy related to CPE, including considerations to improve CPE compliance and to standardize CPE requirements across jurisdictions. After several meetings, it was concluded that the magnitude of this project would require multiple years for completion. As a result, the Committee developed a strategic plan to identify the key elements of the project and to establish a framework for future Committee members. The strategic plan was finalized during the Committee meeting held in Houston, TX, on September 9, 2013. Luttrull said this comprehensive strategy is crucial because there are few elements that are the same in any two jurisdictions when it comes to continuing education. Members of the Committee are also involved in NASBA’s National Registry Summit, an annual event featuring informative speakers and workshops to benefit and engage members of the Registry. At this year’s National Registry Summit in Houston, TX, CPE Committee Chair Bucky Glover, CPA, was on-hand to discuss the purpose of the CPE Committee, the role and responsibility of the CPE Standards working group and update attendees on current Committee projects. He also said the Committee is exploring new instructional delivery methods and manners of learning not currently addressed by the Standards. To see a list of participating Committee members, please visit the CPE Committee page in the Committees section of this website. Also, for more information on the National Registry of CPE Sponsors and the Standards, please visit nasbaregistry.org.